Lately, two types of news topics have been in frequent circulation: The endless commentary of our presidential candidate debates, and the announcement of new multi-node WiFi systems. Given the inspiration, we decided to put our Plume Pods through a real life stress test to see if it matches what you can throw at it! Here at Plume have been working on testing WiFi through multidimensional experiments in thousands of real user’s homes, and, our test house. Adam and his team have been leading these experiments to see what happens in homes with many concurrent and spread out WiFi traffic loads. Below are a sampling of results from our latest experiments to push the WiFi limits. Can your current WiFi meet the match? The setting is our test house in the San Francisco Bay Area. 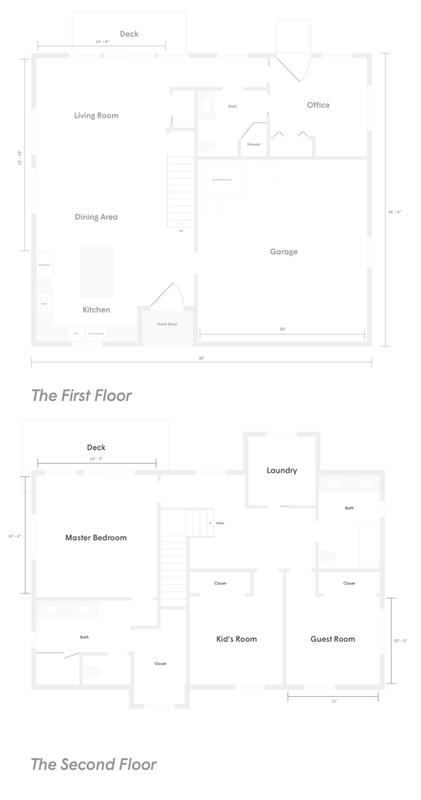 This 4 bedroom house, spread on 2 levels and 2400 square feet, is fully equipped with the tech-comforts of the 21st century including WiFi smart gadgets such as Nest Thermostat, Nest Cam, Amazon Echo, SONOS speakers, Ring doorbell, August smart lock, LIFX light bulbs, Mr. Coffee, and the Fitbit Aria scale. 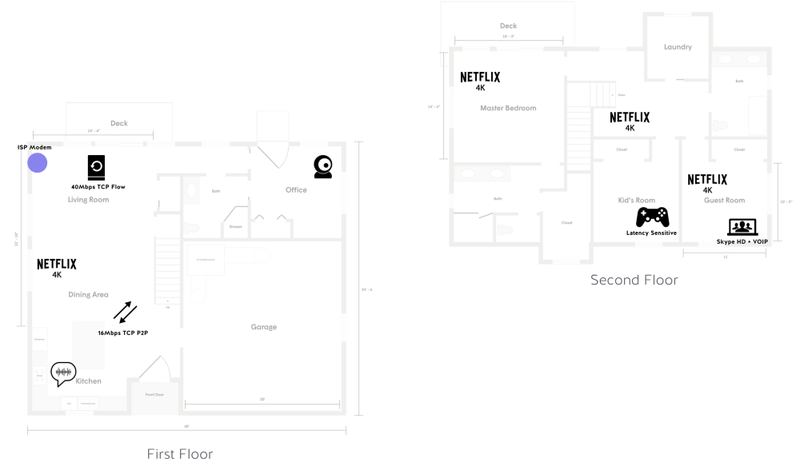 The house is also equipped with four Samsung 4K televisions (in the living room and each bedroom) along with their Roku and Tivo 4K, and Netflix Apps. And of course there are computers, iPhones, Android devices, tablets and Kindles — all those essential devices that have become fully mandated in our lives. Finally, given that WiFi signals are very susceptible to the materials they need to pass through, it’s important to point out that our home is constructed of wood frame interior and drywall, full of furniture, clothing in the closets, mirrors on the walls, etc. In fact, the garage contains a massive air conditioning unit with ductwork that casts a WiFi shadow on half of the home when using single WiFi routers. Let’s begin with the scientific framework. What are we measuring, and how are we taking measurements? Measurements are taken with Ixia, which is the simulation system that enables us to recreate your favorite WiFi activities with a high level of accuracy and consistency. Ixia enables us to repeat our tests 100x and get precise, bit level performance results for comparison. Moreover is the decision on defining the WiFi activities. In order to make an apples-to-apples comparison, we sought to set standardized, high precision, and reproducible WiFi criteria. 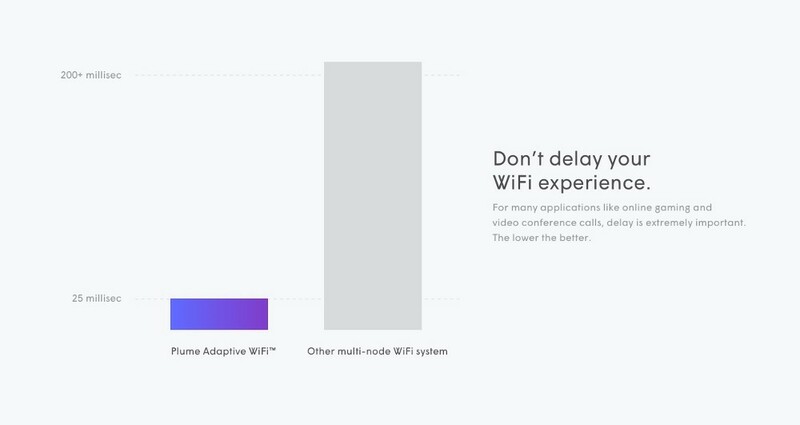 Below, you can find a table for what Netflix’ing Stranger Things, or Facetime’ing your relative abroad may mean in terms of WiFi speeds and delay requirements. We set out to measure the WiFi system’s capability to deliver the throughput and delay required for each service. In order to generate the WiFi demands in a natural set up, we placed our home electronics and IoT devices as we would in normal life. 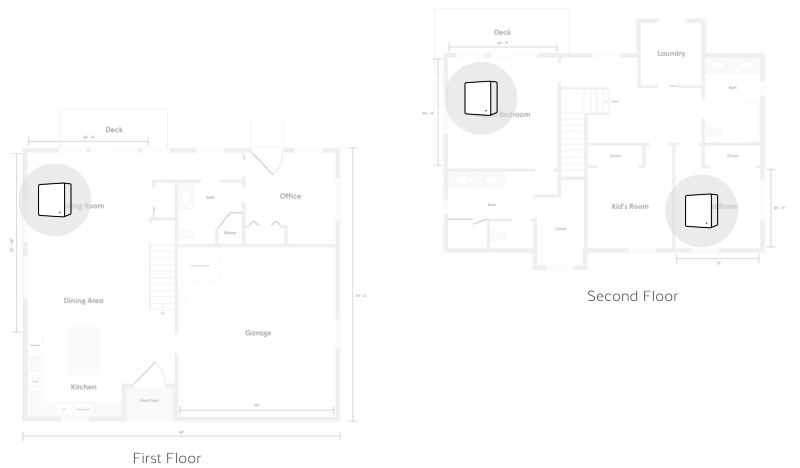 Below is the house plan with the locations of “connected” activities mapped across in the house. We compared both aforementioned systems against your everyday WiFi activities, which would serve as the “stress tests”. 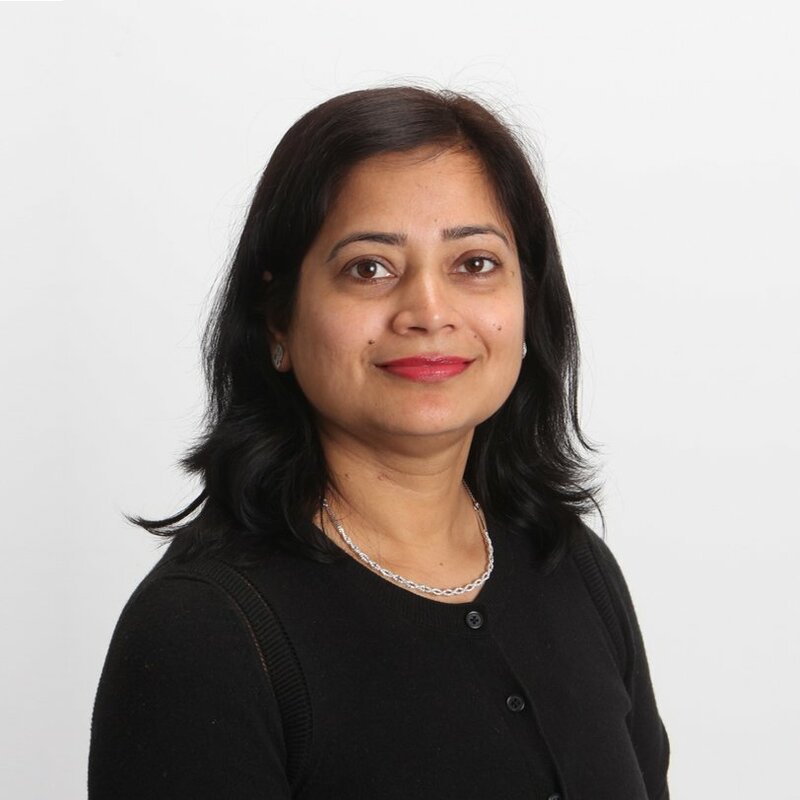 The performances were measured against a variety of factors including throughput, latency, jitter, and other device-specific or location-specific metrics. The next stress test is regarding delay, or “ping”, as you may know it. 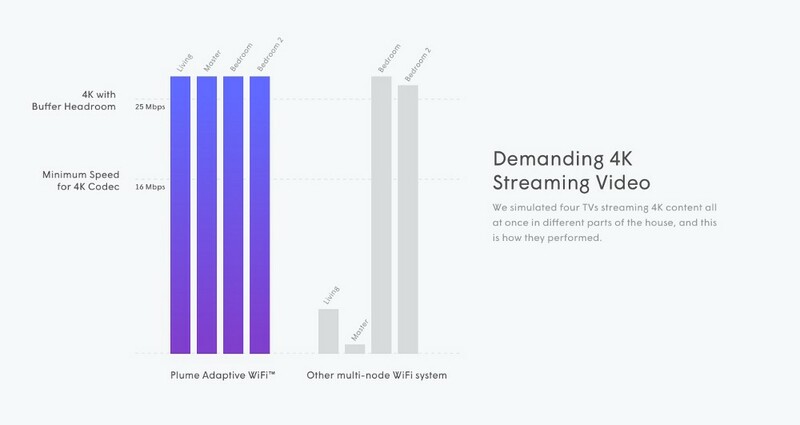 Delay is not much of a concern if you’re streaming video because when things are working well, your device stores a buffer of the video to reduce any gaps or latency. Delay becomes a real drag, however, when you’re playing online games or Facetime’ing your loved ones. The long ping times cause sputters when you were going to earn that point, or patience-killing delays before you can see your wife’s face. 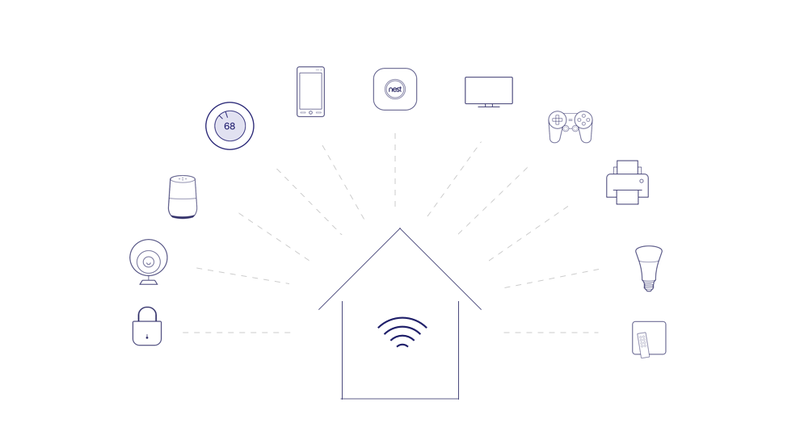 Overall, Plume Adaptive WiFi™ caters the most consistent results — allowing everyone in the family to consume the highest quality streaming, playing, and video conferencing in every corner of the house, at all times. 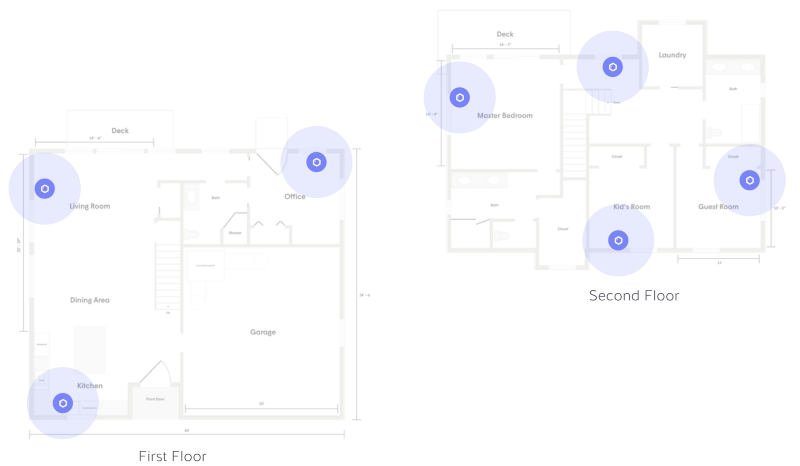 A couple minutes after Plume is set up, Plume Adaptive WiFi™ begins optimizing your network for your network’s individual needs: Interference from surrounding neighbors, devices on the network with various demands, and even your behavioral patterns on the WiFi system.